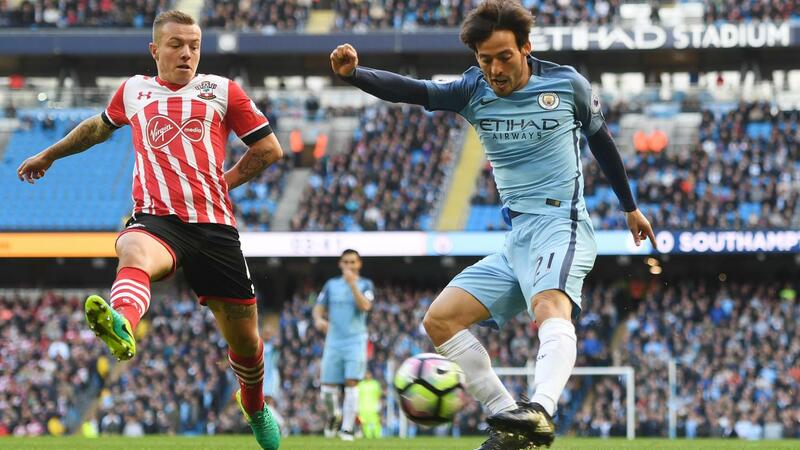 Manchester City were prone to more calamitous defending as Southampton condemned Pep Guardiola's team to five games without a win and sent the future of his style of play into serious doubt. Kelechi Iheanacho came on in the second half to rifled home and draw City level, however John Stones was left reeling and humiliated as his error at the back was pounced upon by Nathan Redmond for the opener. John Stones thought he had redeemed himself, however his successful tap-in was disallowed when Sergio Aguero was caught offside in the build-up. Bizarrely, with continuously evident empty seats in the The Etihad despite an array of exciting and elite talent on show with a world class manager in the dugout, the anticipation was rife as Manchester City seeked their first victory in four games against Southampton. City's attacking outlets spelled danger, however came to no avail in the early stages. Raheem Sterling fell inches short of reaching Fernandinho's low cross while Sergio Aguero was contained with relative ease as he struggled to even touch the ball in the attacking third. Claude Puel's tactics and sturdy defence had sussed out Pep Guardiola's methodical approach from the back, as a sturdy back four combated most attacking threats in the first half and his side had limited attempts on goal due to such lackluster build up play. Louis van Gaal esque? Then the educated pressure of the visitors soon came to avail, as John Stones was forced into a woeful back-pass, in which Nathan Redmond intercepted, scorched into the area, effortlessly swept aside the advancing Claudio Bravo and steered home despite the desperate sliding attempts of Alexsandar Kolarov. Just as John Stones redeemed his earlier error, his instinctive tap-in at the far post was subsequently disallowed out when the officials ruled Sergio Aguero in an offside position following Kevin De Bruyne's inviting free kick into the box. The likes of Charlie Austin, Nathan Redmond and Dusan Tadic all threatened following the opener, and City's defence looked even more suspect each time it was challenged and each time the front three executed periods of educated pressure. John Stones, to the concern of England supporters as he is tipped as a future captain - continued to mistime simple passes across the back line. Boos sounded around the stadium at half time and to little surprise. City mounted little offence, the disallowed goal of John Stones also exemplified the struggles they faced to break down Southampton and their resolute defending. Guardiola's men responded in style, as talented substitute Kelechi Iheanacho drew level to the delight of the crowd. Fernandinho launched a long delivery over to Leroy Sane, who sprayed a short cross to the 20-year old where he shuffled across his marker and rifled home low into the net. City's attacking intentions weren't met though, as Claude Puel's side backed into a defensive shell and became reluctant to commit bodies forward. Clear cut chances were few and far between, as Jordy Clasie's effort embarrassingly blootered over the crossbar while Fraser Forster made two impressive saves to keep out respective shots from Ilkay Gundogan and David Silva. 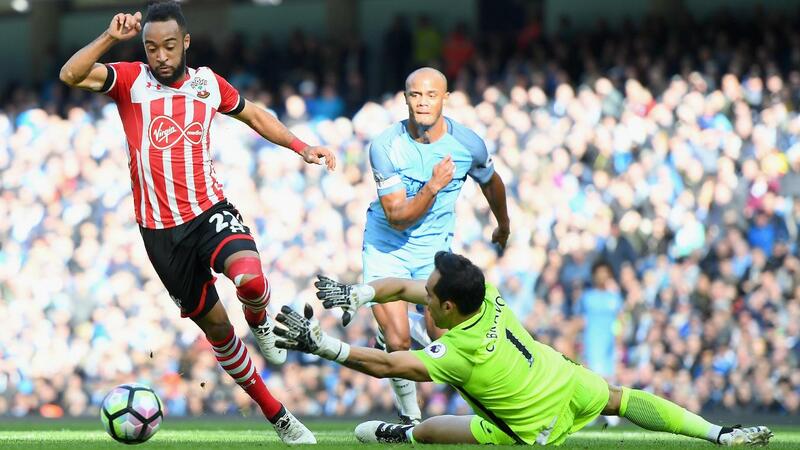 The late introduction of Sofiane Boufal played a part in Charlie Austin's thumping effort being stopped by Claudio Bravo, however the momentum was mainly with the hosts through Raheem Sterling and Leroy Sane down the flanks. Though moments later, Sergio Aguero wasted two glorious chances to steal the victory as he headed over Sterling's cross and before his angled effort drifted wide of the target.